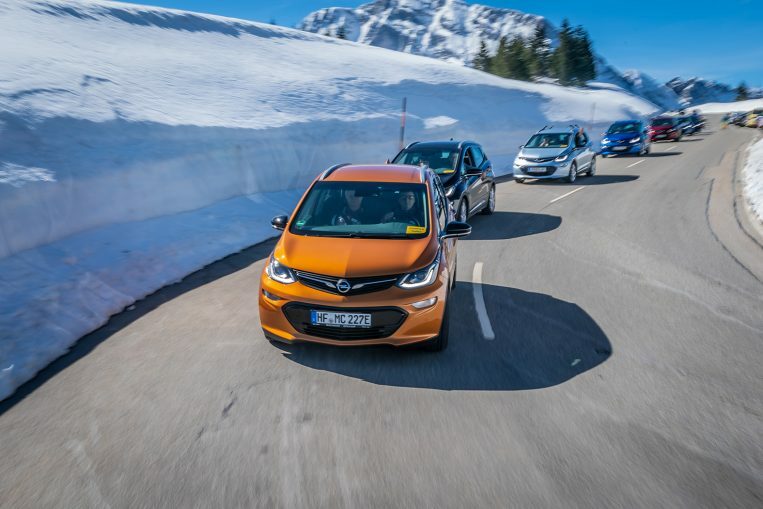 Wonderful views: 20 Ampera-e driving over Germany's highest panoramic toll road. Range too short? Charging time too long? Price too high? E-mobility is still struggling with prejudices. at the second Ampera-e-meeting in Berchtesgadener Land. 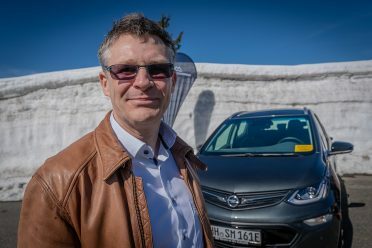 Opel is one of the pioneers of electric mobility: the Opel Ampera celebrated its premiere in 2012, more than 10,000 units were delivered by the Stromer with range extender. The second generation, the Ampera-e, came onto the market in 2017 and has so far made around 4,700 customers happy. In a few weeks, the order books for the all-electric, five-seater Corsa and the Grandland X as a plug-in hybrid will be opened. A total of four electrified Opel models will be available by the end of 2020. 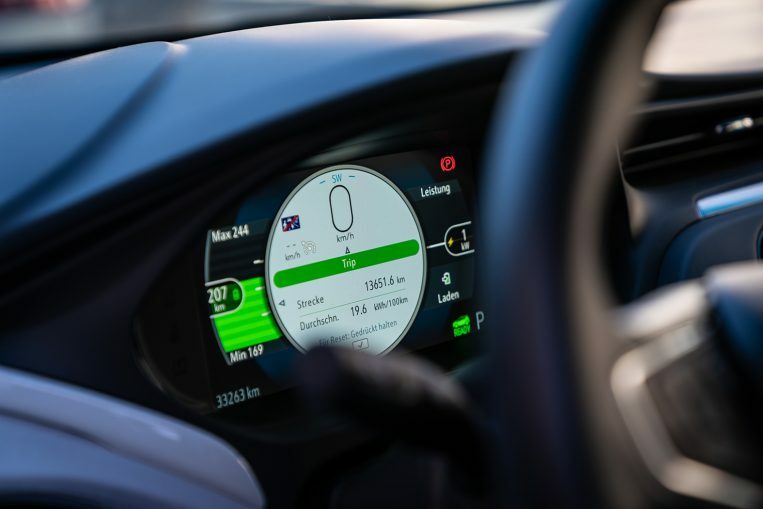 It’s amazing how quickly you end up with the prejudices and myths about electric drives – often without having any real experience with the subject yourself. 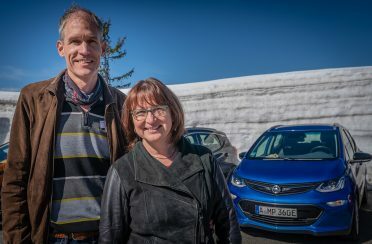 This is one of the reasons why the 20 Opel Ampera-e drivers met at the end of March for a joint ride along the panoramic road in the high alpine mountains of the Berchtesgadener Land. 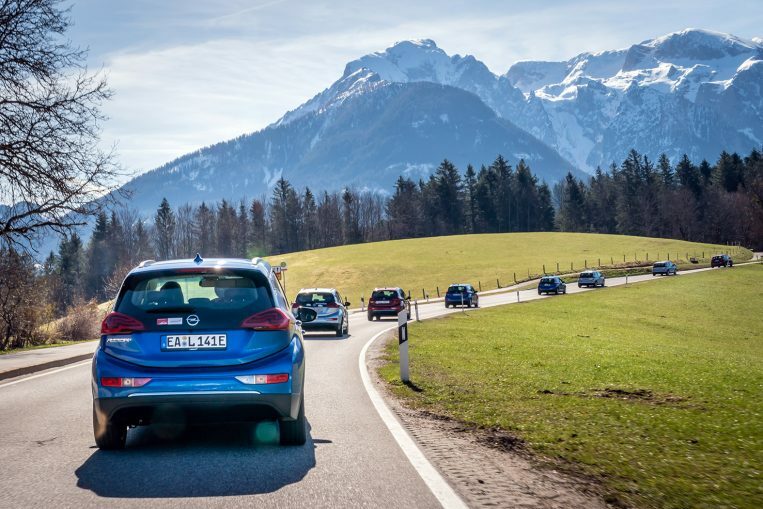 They not only want to enjoy the view – they also want to show just how suitable current electric cars are for everyday use. 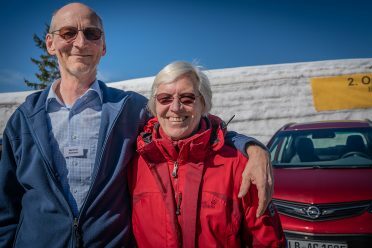 Arriving from all directions, they started their tour after a good breakfast in Bad Reichenhall – and smile shortly after eleven o’clock at the highest point of Rossfeldstraße for a group picture in the camera. 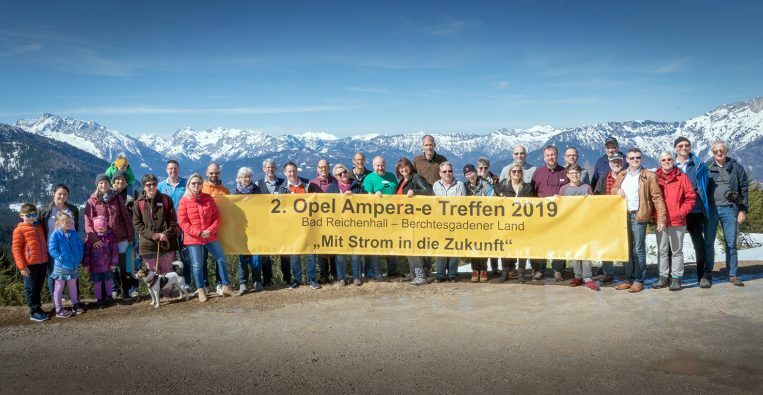 Behind them, the sun laughs over a picturesque mountain panorama on a yellow banner that says: “2nd Opel Ampera-e Meeting 2019”. Motto: “With electricity into the future”. We reported on the first meeting last autumn in the Opel Post. And the future has long since become the present for the participants. After all, the 20 E-Opel owners have already integrated the low-noise drive into their everyday lives. Voluntarily, often even without tax advantages. It’s people like you and me who have consciously said goodbye to their beloved combustion engine. 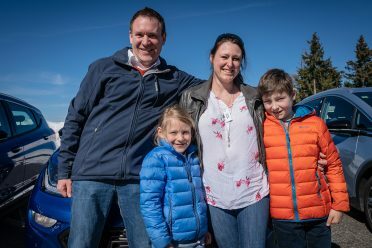 We would like to tap into their experience in order to put five common prejudices about e-mobility to the test in the following five interviews. Amped up: We used the second meeting to tap into the experience of the e-pioneer community. Electric cars are currently still too expensive! Mr. De Mattia, what do you think? Only at first glance. We paid 47,500 Swiss francs for our Ampera. Over the entire period of use – we are planning ten years – the energy and maintenance costs will, however, be significantly lower than for a comparable combustion engine. 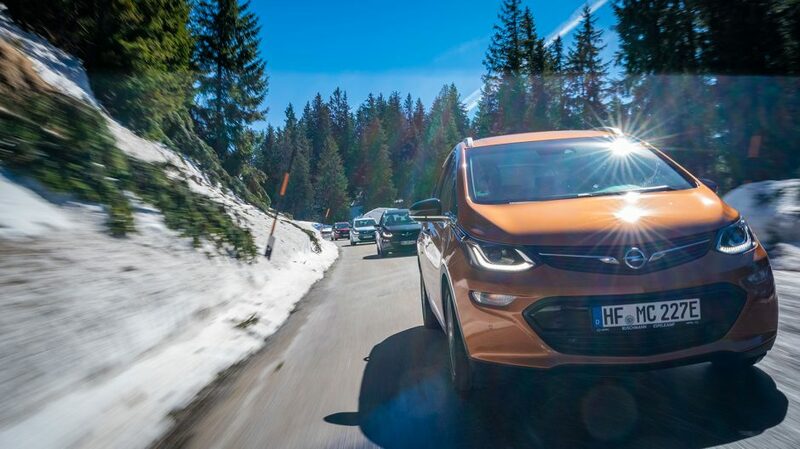 On average, the energy costs for 100 kilometres with our Ampera-e are 2.80 CHF. With a combustion engine it would be eleven to twelve CHF. Added to this are the low-cost workshop visits: the E-Opel only requires one annual inspection, which costs us CHF 110. What do friends say about your e-car? Many are sceptical, but everyone now recognises that the Ampera-e is absolutely suitable for everyday use. Of course, its price is always an issue. Everyone just looks at the purchase price – unfortunately. The level of a comparable diesel car would be great. De Mattia family from Ohmstal, Canton Lucerne in Switzerland. Has been driving an Ampera-e since November 2017. It is the first e-car of the family. Mileage: 41,896. Would tax incentives and cheap electricity help with the purchase? Yes, but not mandatory. My basic motivation is different. I am interested in environmental protection and independence from fossil fuels. In our canton of Lucerne, for example, the Ampera-e is taxed normally. Benefits: In Germany, e-cars are exempt from vehicle tax for ten years. In addition, the monetary advantage for the private use of an electric company car was halved at the beginning of the year to 0.5 percent. The range is too short! Mr. Wohlhüter, hand on heart, how satisfied are you with the range of the E-Opel? Very much! At the time of purchase, the Ampera-e was the only electric car with a 60 kWh battery that I could afford. How far do you get with one battery charge? In winter it’s 260 kilometres, in summer 430. Do you have to limit yourself somehow? In no way. I use heating or air conditioning as in any conventional car before. How do you handle long distances? I plan them with the help of websites such as goingelectric.de. All current charging stations are listed there – including the free ones. My average cruising speed on the highway is 130 km/h. Birgit Cermak and Thomas Wohlhüter from Augsburg. They bought the Ampera-e at the beginning of 2018 as a replacement for their Renault ZOE in order to double the range. Mileage of the Opel: 55,000. Digitales Cockpit: Es liefert alle relevanten Informationen auf einen Blick. There are still hardly any charging options! Mr. Homeyer, how would you describe the current charging options for e-cars in Germany? There are currently around 17,000 charging stations in Germany. We are satisfied with the cover – and have never been left with an empty battery. A few free charging options are omitted here and there, but others are added. How and where do you charge the Opel? We are lucky that our employer has set up many charging stations six kilometres away, which can be used free of charge by us as employees. We start the load with a company-owned app. This process has given us a lot of experience. Because we get error messages from time to time at several charging stations, both on the display of the charging station and on the mobile phone. The curiosity: Usually it is not the charging stations that are the problem, but the poor radio reception. Mr and Mrs Homeyer from Markgröningen near Stuttgart. They ordered the Ampera-e in October 2017 and picked it up in February 2018. At that time it was their first own electric car. Mileage of the Opel today: 15,000. In your opinion, how will e-cars be loaded in the future? One reads again and again that more and more employers want to install free charging points. That’s great. Even if it is certainly regulated in the long run by a monetary advantage. In addition, electricity consumption does not have to be increased unnecessarily during the day. It would be clever if most EVs were charged at night. There are often not enough consumers at night – so electricity sales should be encouraged during the night. That would be a win-win situation for everyone. Consumption uphill, recuperation downhill: Ideally, around ten percent of energy is recovered on the way down into the valley. Mr. Toll, can you confirm the thesis of too long charging times? Yes, it can take a long time. But it doesn’t have to be. Most 220V sockets take a long time to charge an empty battery. But you don’t have to be embarrassed, because a battery rarely runs out after a day. According to the Federal Motor Transport Authority, every car drives an average of just 40 kilometres a day. And: A full charge only takes two to three hours on a fast charger. In your opinion, how could the charging time be reduced? There should be more fast loaders in public – for example in front of large retail stores, as IKEA or Aldi demonstrate. I could also well imagine this in front of public buildings such as parishes and churches. 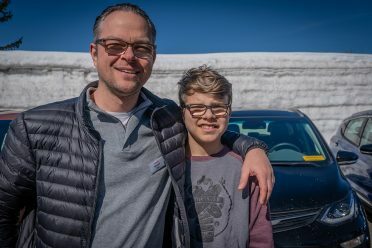 Michael Toll, 45, with son from Gilching, county Starnberg. He has had the Ampera-e since January 2017. Toll gained his first experience with electric cars during a study with an E-Mini that he drove for six months. Current mileage of the Opel: 30,000. Mr Möller, as a sporty driver, do you agree with the statement that e-cars are not fun? Not at all, on the contrary. Thanks to the e-drive, my Opel can really spurt off and make most sports cars look old at the traffic lights. In addition, there are no pauses between gears or seconds to remember – the drive immediately pulls evenly and strongly. In addition, the centre of gravity of the Ampera-e is nicely low and the road holding is excellent. I really appreciate the peace and quiet I have gained in my car. My job is stressful and the environment is often loud enough. All the more reason for my electric car to become a place of peace and quiet. And: I enjoy being able to play with the range. Sven Möller, 53, from Hamburg-Nienstedten. Before he picked up his Opel Ampera-e at the end of 2017, he liked to drive sporty. Now he swears by electric drives – and organizes the Ampera e-Meetings. Current mileage of his Opel: 39,500. 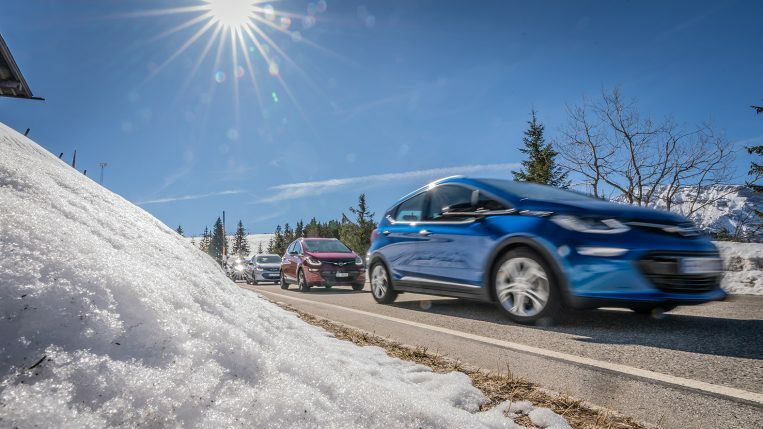 Everyone at the finish: 20 vehicles, whole families with children and a dog were at the start of the second Ampera-e-meeting in the Berchtesgadener Land.